With all the new faces on Doctor Who it was never entirely clear what would happen with it’s spin off show, Torchwood. However, the Beeb have announced today that Torchwood will be back, and it’s gonna be bigger then ever! Dispite handing over the reins of Who to Stephen Moffat, Russell T Davies has retained his head writer/show-runner status on Torchwood, heading up a team of writers for the new series. One major change this time though is that the show won’t all be coming from Wales. Plans are afoot to give the show a more global look, with filming scheduled to take place in the US, and other locations around the world. 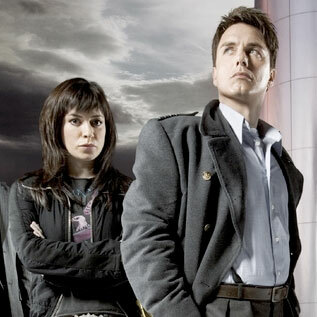 John Barrowman and Eve Myles will be back as Captain Jack and Gwen, along with a new set of Torchwood recruits.